At the Fence: CONTACT US! I am sure you have all seen those signs by the side of the road, advertising yard signs. They usually have some sort of information regarding price and then contact us followed by a phone number. We have actually purchased some of these with Bible verses and put them out in our front yard and of course we use them for the ministry. We have a friend who helps us with ours. He owns a sign company and will make up the corrugated signs for us at cost. I think we have over one hundred of them now. These are the type of signs realtors use all over the country. My husband likes these signs because they are portable, light-weight, and easy to change. We use the little metal stands for them and you just slide one sign off and then add another! We also have a few ministry signs like this made up for when we visit a new church or put up a display. There is a lamp post in our yard where we keep one sign permanently mounted. Do any of my neighbors use signs like these? Do you use them for your business? Do you find that they work for you and help improve your business traffic? Let us hear your thoughts. Now, speaking of signs, as we travel the country we love to keep an eye out for those odd ones. 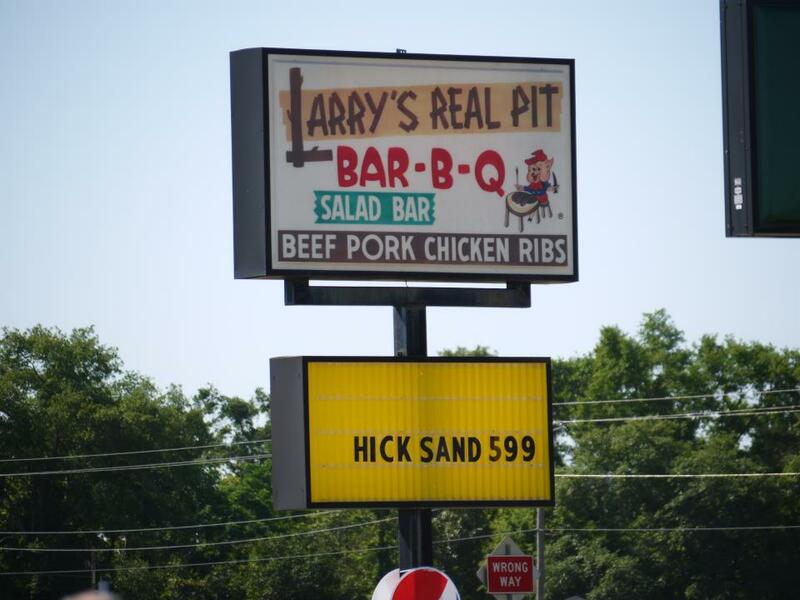 One of my favorites was when we were visiting some friends in Alabama and one of the BBQ places they like to eat at had recently changed their sign. It said HICK SAND 5.99. We had a big laugh over this because our friends consider themselves official rednecks. One of them said, "I am sure it meant chicken sandwich." She was laughing of course as she said this. Maybe they were advertising customer specials! Disclosure:This is a sponsored post however, all thoughts and opinions are mine. We love to look for these mis-done signs as well. I think the hick sandwich is hysterical! !